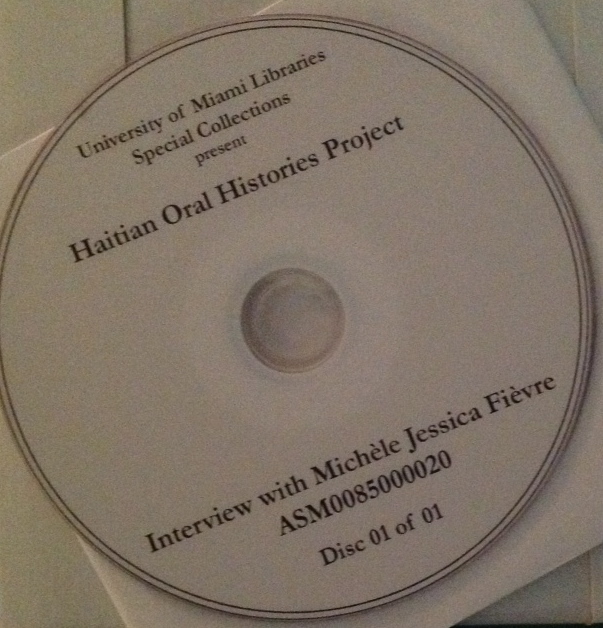 The Haitian Diaspora Oral History collection includes videos and selected transcripts of oral history interviews conducted with individuals of Haitian ancestry that are well-renowned in the world of the arts. Interviews with singers, songwriters, musicians, painters, sculptors, writers, playwrights, and dancers help to showcase the Haitian influence in the arts. Interviews were conducted by graduate student Kevin Mason. Use Restrictions: Copyright to these materials lies with the University of Miami. They may not be reproduced, retransmitted, published, distributed, or broadcast without the permission of Special Collection. For information about obtaining copies or to request permission to publish any part of an interview, please contact Special Collections at asc.library@miami.edu. Processing Information: Archon input by Dvora Harel (Student Assistant) under the supervision of Beatrice Skokan (Manuscripts Librarian), Spring 2013.